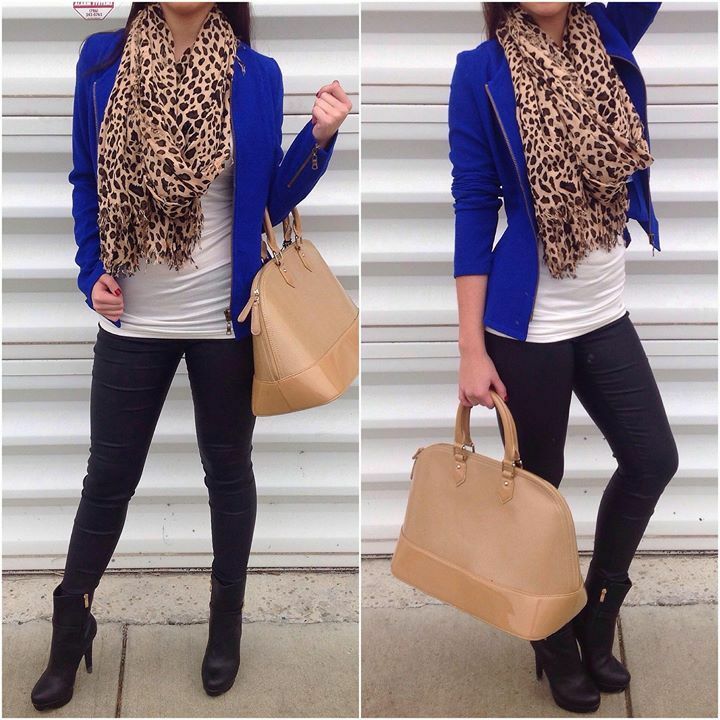 I love how the blue and leopard turned out together! Kept it simple with a basic white tee, black pants, and tan shoes. Simple, but classic.